In celebration of the recent announcements at IFA 2016, Acer Africa partnered with acclaimed South African designer Gert-Johan Coetzee for the launch of his “Autumn Winter Collection 2017” for SA Fashion Week 2016 at The Four Seasons Hotel, Westcliff. The partnership, a bespoke collaboration aligning fashion and technology design encompassed both Acer’s “leading the trend in style” and Gert-Johan’s showcase that is dedicated to Africa’s iconic, endangered species. 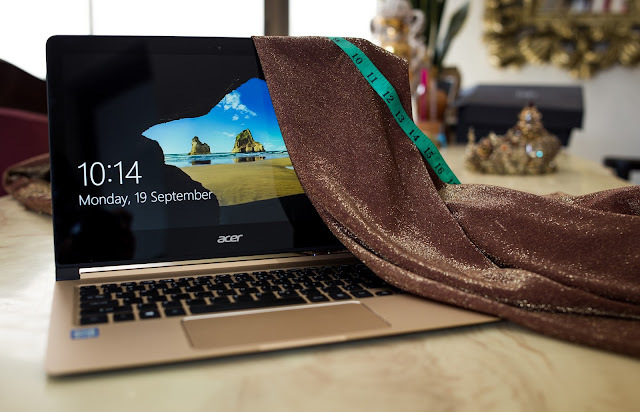 The ultra-thin, lightweight notebook PC’s that formed part of the installation comprised of three devices, namely the Acer Swift 7 - the thinnest notebook in the world, Acer Spin 7 and the Acer Aspire S13. These new ultra-thin models feature Windows 10 and include something for every budget and lifestyle. Part of the installation allowed guests and dignitaries to interact with the Acer devices on display in their natural aesthetic environment. In a South African first, Gert-Johan invited fans and media from around the country and globe to witness his showcase live through his @gertjohancoetzee Instagram account. This gave everybody unable to attend, a front row seat to one of South Africa’s most beloved designers latest collection. “Partnering with Acer was a seamless integration for us”, says Gert-Johan Coetzee. “Their product portfolio is more of an extension of one’s personality which allows it to effortlessly fit in to the person you are”.